Everything that exists, including thought, is a form of energy. Such is the wisdom guiding the increasingly widespread practice of radionics (healing at a distance) and its complement rediesthesia (dowsing). 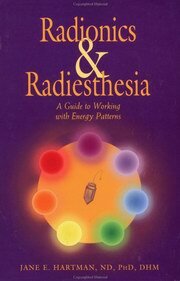 Radionics & Radiesthesia explains this unique therapy, providing insights into the energetic analysis and treatment of ailments affecting humans, animals, plants, and soil. Ultimately, it presents a model that helps us reconnect with our own healing gifts. The reader will learn step-by-step instructions for using color therapy, gem therapy, aromatherapy, flower essence, homeopathy, and other means to achieve well-being.